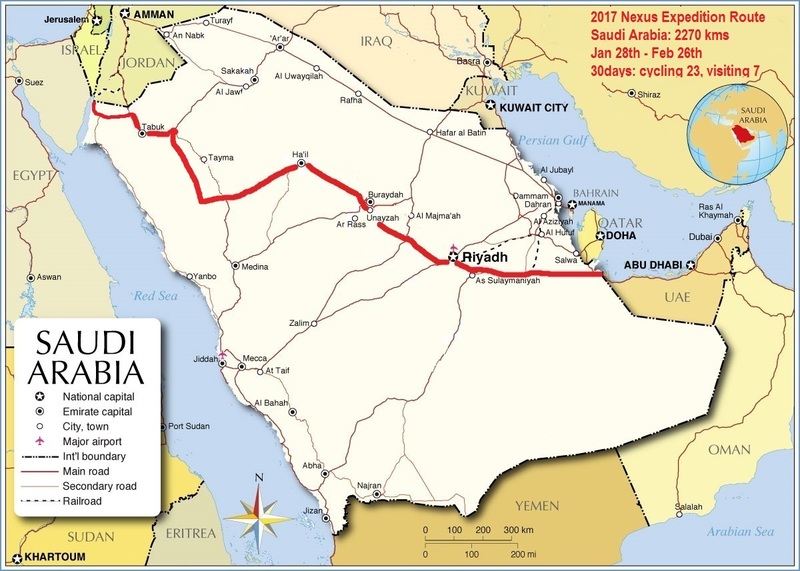 As part of Nexus Expedition, Dimitri was able to complete in February the crossing of the Kingdom of Saudi Arabia by bicycle. His wife Gulnara, as a female cyclist, was not able to receive a visa. 30 days: Jan 28th - Feb 26th. 2270 kms: 23 days spent cycling and 7 days spent visiting and resting. (3 days spent in Riyadh, 1 day in Hail, 1 day in Al Jaharah, 1 day in Al Ula/Mada'in Saleh and 1 day in Tabuk). I am a French and American citizen and I am currently in the midst of a human powered expedition around the world which I started in Anchorage, Alaska, USA in February 2005, progressing intermittently, according to local visa restrictions and weather conditions. 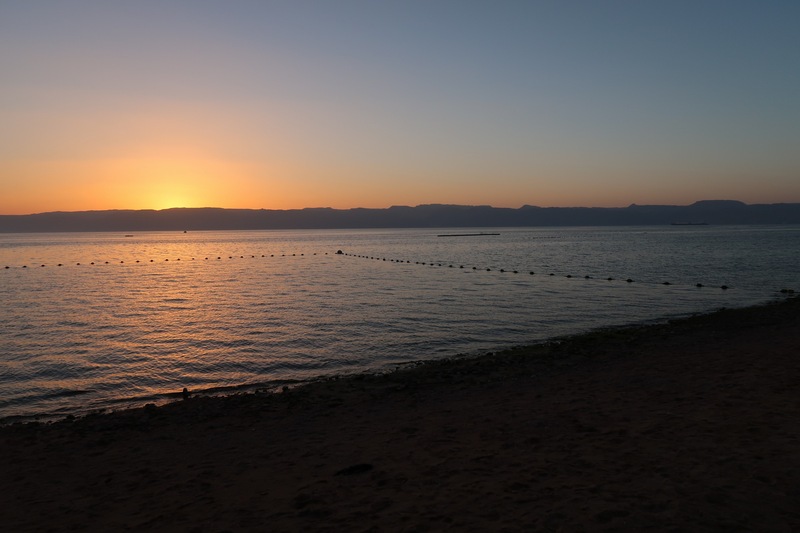 I have so far covered 24,215 kilometers (15,046 miles) from Anchorage, Alaska to Tala Bay, Aqaba (Jordan). At first, trekking, swimming, skiing and rowing across Alaska, the Bering Strait and Chukotka (Russia). Then cycling through Far Eastern Russia, Mongolia, China, Kazakhstan, Kyrgyzstan, Tajikistan, Uzbekistan, Turkmenistan and Iran. 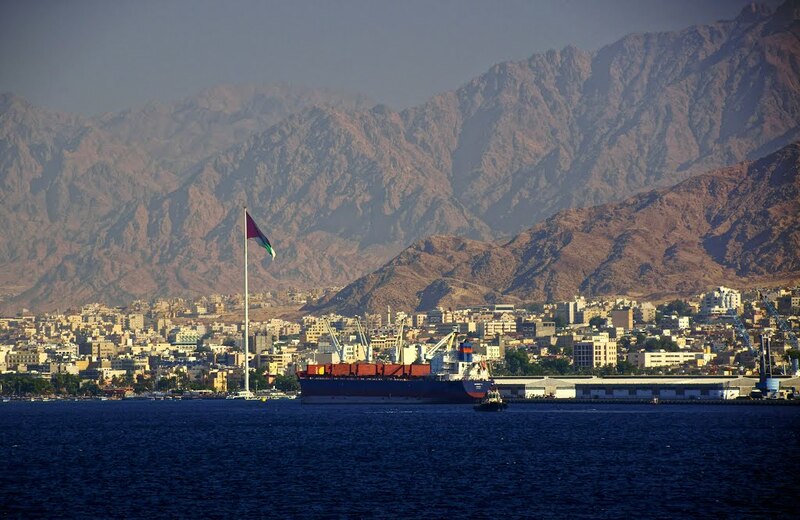 I then kayaked across the Strait of Hormuz from Iran to Oman and cycled further across the United Arab Emirates and Saudi Arabia. 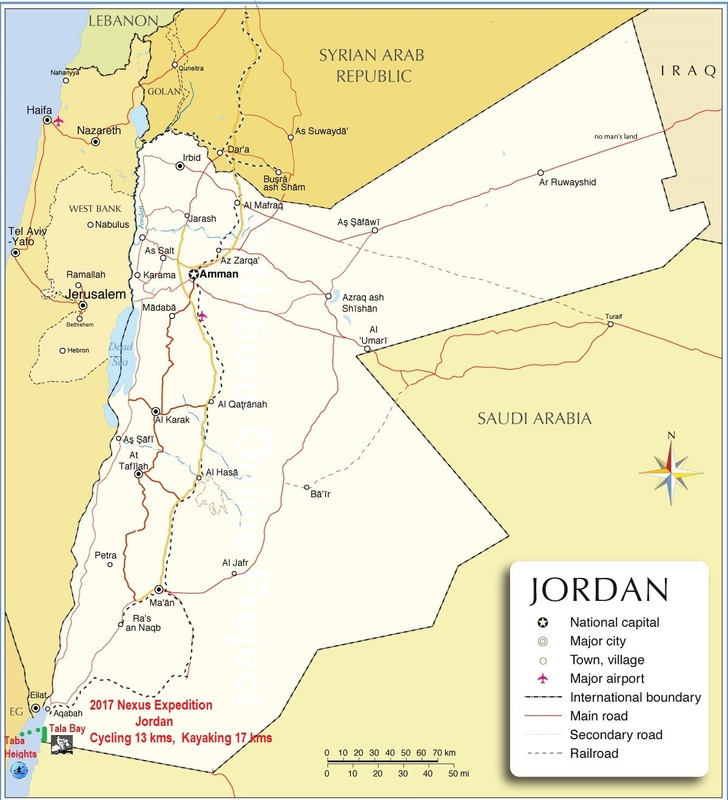 I entered Jordan on February 26th 2017 through the border crossing of Haql (Saudi Arabia) - Durra (Jordan). 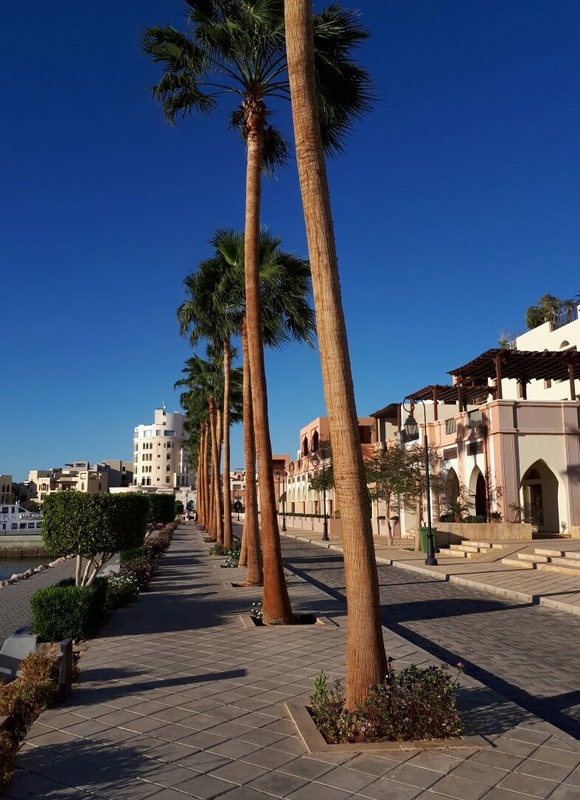 In Jordan, I then cycled 13 kms, until I reached the resort of Tala Bay, Aqaba. 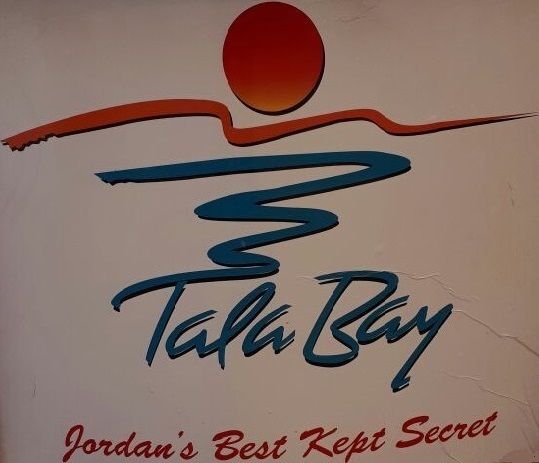 I am currently a guest of the Tala Bay Resort : “Jordan Bay Kept Secret!” who is kindly welcoming me while I am working with the Egyptian authorities and Jordanian authorities to secure permissions to kayak across the Red Sea from Tala Bay, Jordan to Taba Heights, Egypt and being able to continue my human powered circumnavigation of the globe. 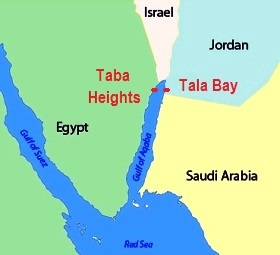 In this route, I will be following the “footsteps” of the 5 Egyptian kayakers Nouran, Yara Shalaby, Sherif AbdelAzim, Charif Khedr, and Ahmed Nayer who were the first to kayak across the Red Sea from Tala Bay (Jordan) to Taba Heights in Egypt on September 23rd 2016. My wife Gulnara Kieffer is going to start cycle with me again in Egypt and together we will progress towards the southwestern coast of Africa, where the row across the Atlantic Ocean will begin. I apologize that I am not able to better communicate in your language. Hopefully, we will be able to understand each other nevertheless! Thank you in advance for your hospitality and your kind support! All the way through KSA! As part of Nexus Expedition, I am glad to share that I was able to complete recently the crossing of the Kingdom of Saudi Arabia by bicycle. My wife Gulnara was not able to join me for this section since as a female cyclist, she was not able to receive a visa. 23 days spent cycling and 7 days spent visiting and resting. I am very thankful to the Kingdom for having allowed me to make this successful crossing, and for the incredible amount of support it has provided to me along the way. 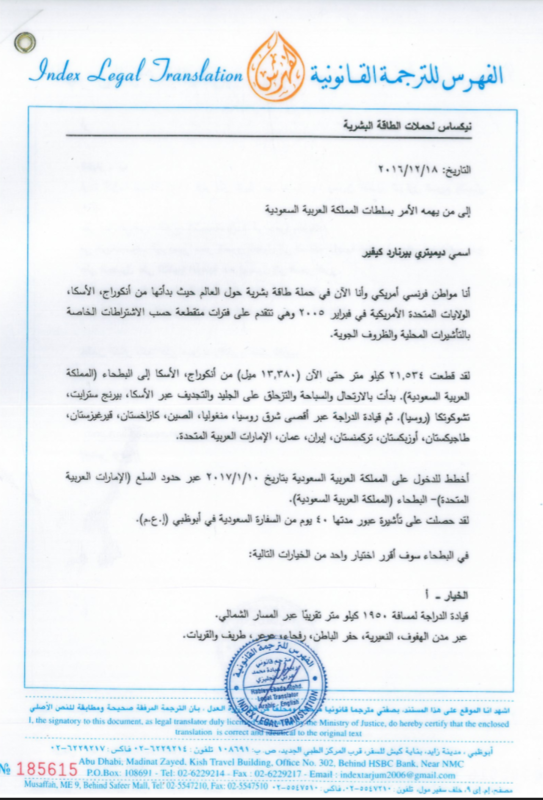 I am also very grateful for all the friends who have helped me with this endeavor throughout KSA. This has been a great journey and a memorable part of the expedition. I have covered so far 21,807 kilometers (13, 550 miles) from Anchorage, Alaska to Ruweis (United Arab Emirates). At first, trekking, swimming, skiing and rowing across Alaska, the Bering Strait and Chukotka (Russia). Then cycling through Far Eastern Russia, Mongolia, China, Kazakhstan, Kyrgyzstan, Tajikistan, Uzbekistan, Turkmenistan, Iran, Oman and United Arab Emirates. 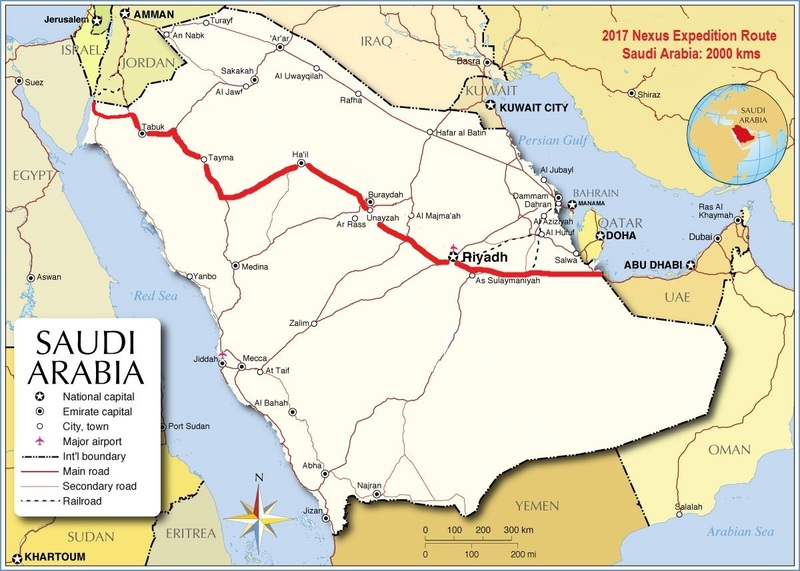 I plan to enter Saudi Arabia around January 27th 2017 through the border crossing of Al Sila’a (United Arab Emirates) - Al Bat’ha (Saudi Arabia). 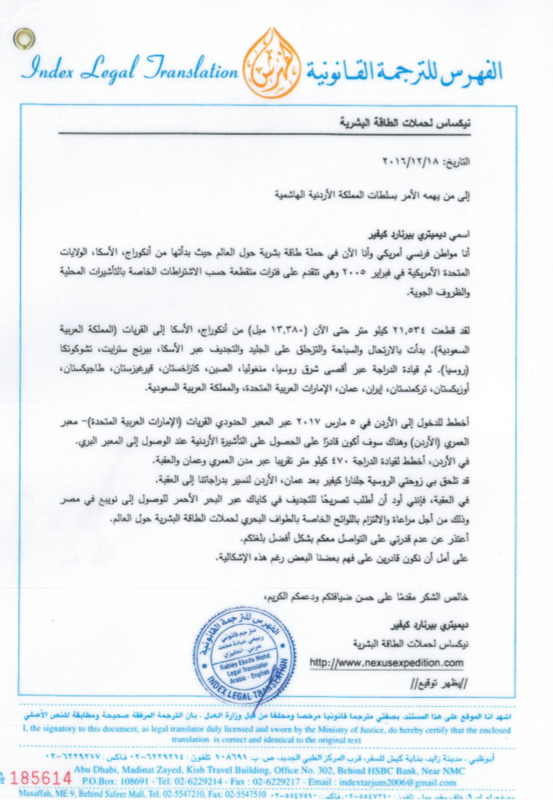 I have been granted a 40 days transit visa by the Saudi consul in Abu Dhabi (UAE). 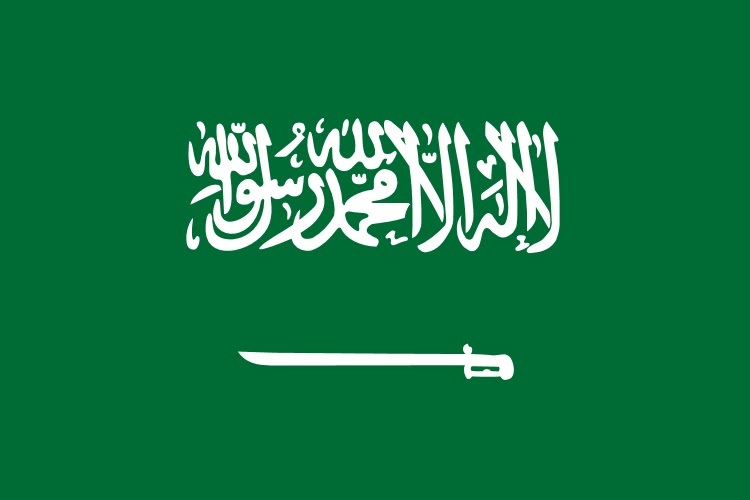 Riyadh, Tuwaiq, Shaqra, Buraydah, Tabuk, Halat Ammar. 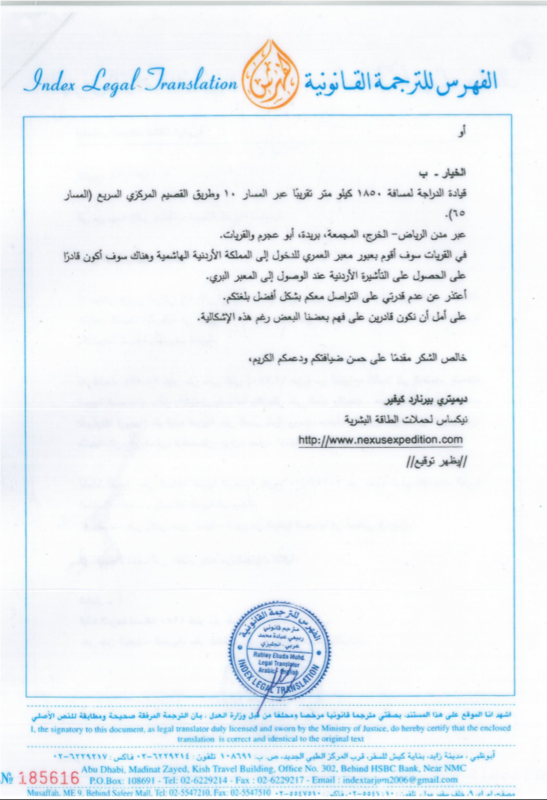 In Halat Ammar, I will pass the Mudwara border crossing to enter the Kingdom of Jordan, for which I already have a Jordanian visa that I received at the Jordanian consulate in Abu Dhabi (UAE). Nevertheless, I hope that we will be able to understand each other!